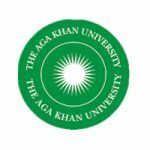 Aga Khan University (AKU) is a private, not for profit, international university first established in 1983. Improving Access to Maternal and Newborn Health (IMPACT) is a four-year project funded by Global Affairs Canada (GAC) and Aga Khan Foundation, Canada (AKFC). The purpose of IMPACT project is to accelerate the reduction of maternal and newborn mortality and morbidity by improving the availability and utilization of quality MNH services and health seeking behaviours in eight districts of Mwanza region, Tanzania. Aga Khan School of Nursing and Midwifery (AKU SONAM) is a partner in this project with the remit to develop comprehensive needs led training programme of Nurses and Midwives in the selected health facilities. In addition, AKU SONAM has the remit to develop an adaptive curriculum to upskill 21 Midwives from the selected sites from diploma level to Bachelor.